What would you do if you suddenly realized that your pet was missing or lost? 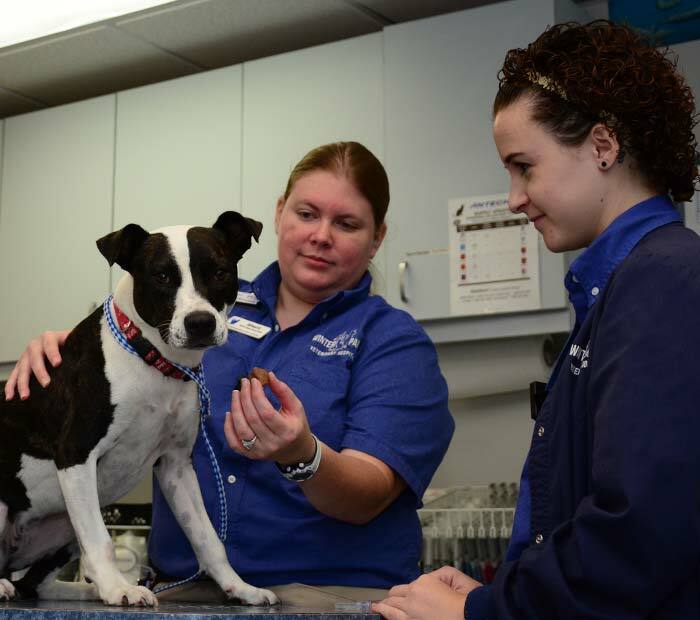 At Winter Park Veterinary Hospital, we believe that ALL pets should be microchipped. It is the best way to ensure the safe return of your missing pet. Even if your pet wears a collar with an identification tag, there is always a chance of it coming off, or that his/her tags are outdated, damaged, or unreadable. We can microchip your dog or cat during your pet’s wellness exam. It is a simple procedure and no anesthetic is required. We implant a tiny microchip the size of a grain of rice between your pet’s shoulder blades and under the skin. That microchip is encoded with unique information your pet and your contact information. If your pet were ever lost, most veterinary hospitals, animal control, animal rescues and shelters across the country are now equipped with scanners capable of detecting and reading microchips. At Winter Park Veterinary Hospital, we are committed to the safe return of your pet in the unfortunate event he/she goes missing. Please ask us to microchip your pet during a wellness exam.